Home » Wills and Estates » Do You Need a Trust or a Will? Trusts and wills are both very popular and effective estate planning tools, and any even the most cursory do-it-yourself research into estate planning will undoubtedly mention both. Many people ask themselves whether they need a trust or a will and try and determine which will best suit their needs. The fact is that this question presents a false “one or the other scenario.” Most people can benefit from having both, and there are certain things that a will can do that a trust cannot, and vice versa. The most effective way to create a comprehensive estate plan that will address all of your needs is to discuss your goals with an experienced estate-planning attorney. For this reason, if you’re starting to consider your estate plan, you should schedule a consultation with a lawyer as soon as you can. In the meantime, here is some basic information about wills, trusts, and why it’s a good idea to have both. A trust is a legal relationship between the person who creates the trust (the grantor), the person who holds the assets of the trust (the trustee), and the person or people for whom the trustee holds the assets (the beneficiary or beneficiaries). As alluded to above, one of the main benefits of placing assets into a trust is that they can pass directly to beneficiaries without probate. In order to for this to happen, however, the assets must actually be placed into the trust, and it’s easy to forget to include things when creating a trust. For this reason, it’s advisable to use a will as a backup to a trust, so that you make sure that anything you leave out goes to the party you want it to. 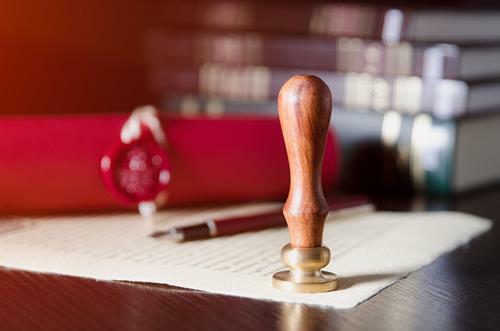 Without a will, Missouri intestacy law will determine how the court will distribute any leftover assets, which may or may not reflect your wishes. Estate planning is a complicated area of law, and it’s important for everyone to consider the future. 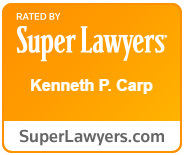 Attorney Kenneth P. Carp is an experienced estate-planning lawyer who will review your circumstances at no cost to you and advise you as to your options. To schedule an appointment with Mr. Carp, contact us online or call our office today at (636) 947-3600. How Will Your Business Be Affected By An Unemployment Claim? Missouri Executors – What Do They Do? Is a Sweetheart Trust Right for You and Your Spouse?